Discover How To Identify Sure-Fire Killer Forex Trading Techniques And Strategies – So You Win More Trades And Make More Money. Ever wondered what Forex traders talk about with all the terminology and chart ‘set ups’? How do you know what to look for? What happens next? How do you actually use the chart set ups to enter and exit a trade? Can you use them for your stop loss strategy too? Err…quite a few questions then! 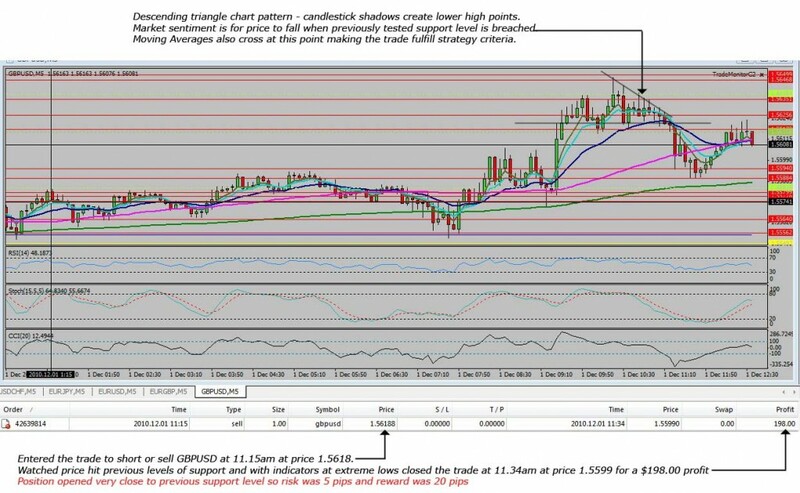 So below are some proven and rewarding trading strategies I have used so you can look for the set ups on your charts and see the difference in your results! I will be updating this page with new examples as every day is different so come back and take a look at more examples. Once you can identify strong patterns on your charts you can piece together a narative and look ofr potential trades. 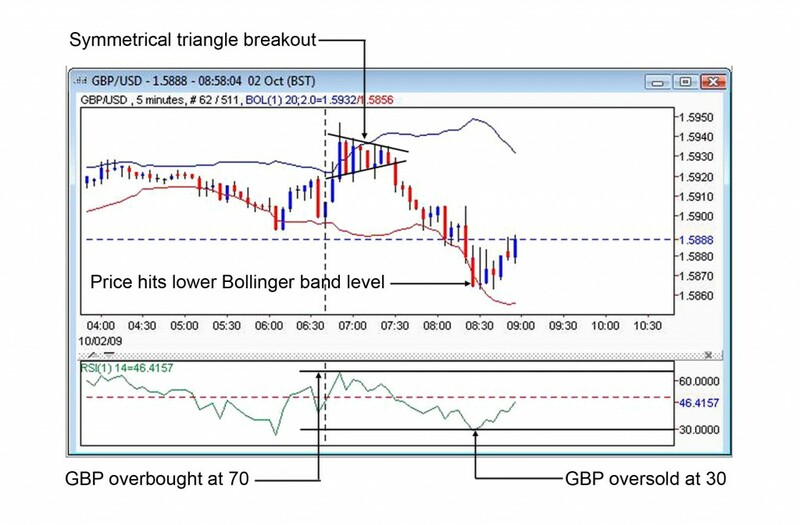 As you can see the Breakout is a powerful move – it’s fairly common in Forex trading to see this…so watch out for these moves and learn how to trade them. So above is an example of a ‘Head and Shoulders’ chart pattern which stalls at support level and breaks out of the upper resistance range. 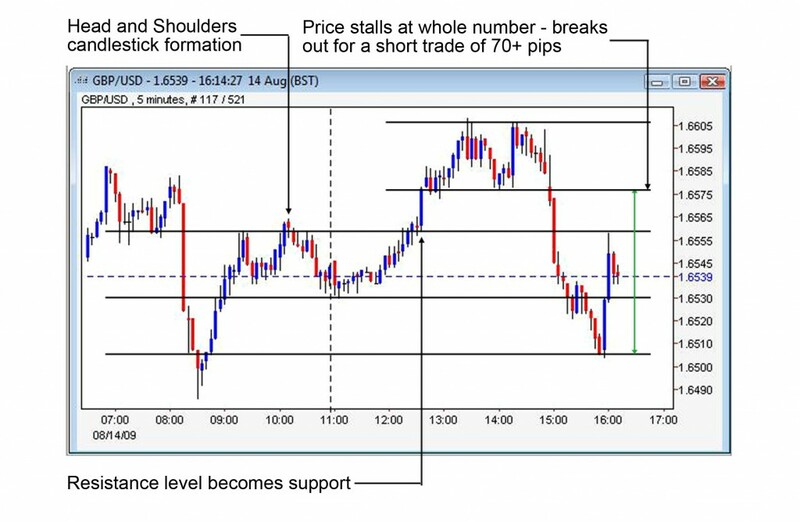 It’s highly recommended to add the S&R levels to your charts as this gives you good target points for good trade management. Symmetrical triangle breakout gives you a good indication of high probability trades. The greater the slope of the line you draw on your charts, the greater the potential move will be. This coupled with using the Bollinger Band as a guide and the RSI to give you a second confirmation gives you a higher probability of a winning trade. 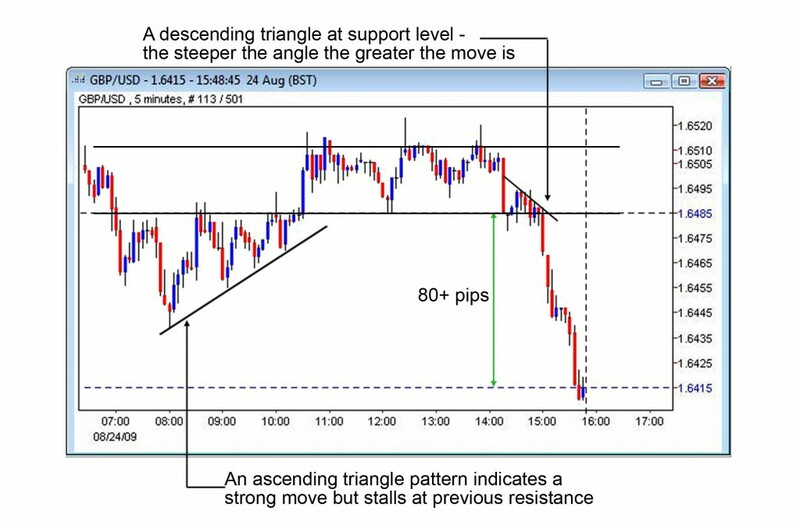 Notice how both upper and lower lines of the triangle formation are equal in angle – again giving you good indication of a good quality winning trade.